Hey my name is Tevaihani. We are interested in finding pet care in Wailuku for our little fluffy dog. I look forward to speaking with you!Hey my name is Tevaihani. We are interested in finding pet care in Wailuku for our little fluffy dog. I look forward to speaking with you!Hey my name is Tevaihani. We are interested in finding pet care in Wailuku for our little fluffy dog. I look forward to speaking with you! Caring for two chickens and one dog.Caring for two chickens and one dog.Caring for two chickens and one dog.Caring for two chickens and one dog. Pet Sitters Wanted in Hawaii! 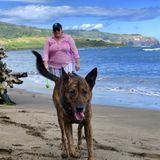 We have a wide variety of open Hawaii pet sitting jobs including dog walking jobs, pet grooming jobs, kennel jobs, and cat sitting jobs to name a few. 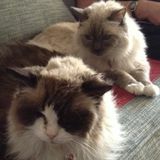 Our easy to use website connects Hawaii job seekers with a network pet owners looking for Hawaii pet care workers. Our site features free access to complete pet sitter job descriptions, free creation of pet sitter profiles, privacy protected communication, helpful customer support and a platform that has been featured in reputable media outlets like Mashable, The Huffington Post, Techvibes and Betakit.